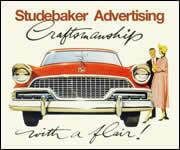 The enduring 1953 Studebaker Commander V-8 Starliner Hardtop designed by Bob Bourke for Raymond Loewy Associates. An early working design by Holden "Bob" Koto for the Starliner Hartop. 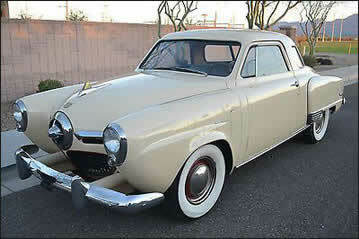 1950 "bullet nose" Champion Coupe front view. 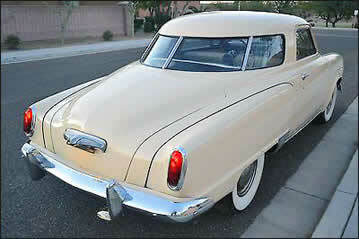 1950 "bullet nose" Champion Coupe rear view.